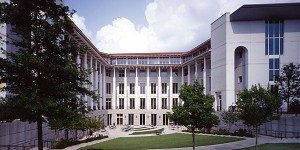 The Emory University Executive MBA program at the Goizueta Business School is intended for those with greater work experience and several years spent in management-level positions. The program has two tracks–Weekend EMBA and Modular EMBA–which enable the student to complete the program in 16-18 months. The program begins with an orientation week. The Weekend EMBA is held according to a five term structure, while the Modular EMBA is structured along eight quarterly residencies. The program begins in mid-September. Students will begin with three terms of business foundation courses and then three Immersions. Twenty-one credits will be comprised of electives. The Emory University Executive MBA program focuses more on executive management and strategic skills for longer-term professionals than the other MBA programs. Emory Executive MBA students have an elective requirement, which can be satisfied through an independent study that allows students to dive deeper into areas of interest than other elective courses might. The typical Emory University Weekend Executive MBA class is approximately 63 percent male and 37 percent female, with 10 percent self-reporting as international/dual citizens, and 27 percent self-reporting as U.S. minorities. These students have an average of 11 years of professional work experience. Weekend EMBA students come from a variety of industries, including technology, financial services, consulting, and consumer products. The typical modular EMBA class is approximately 80 percent male and 20 percent female, with 17 percent self-reporting as international/dual citizenship, and 17 percent self-reporting as U.S. minorities. These students have an average of 16 years of professional work experience. Modular EMBA students come from a variety of industries, including education, financial services, pharmaceutical/biotech, consulting, and media/entertainment. The average age of new entrants to the Goizueta EMBA program is 36. The average GMAT score for a Goizueta EMBA is 635, and the average undergraduate GPA is 3.3. The average starting salary for graduates of Emory’s EMBA programs is $117,719. Tuition for the Emory University Executive MBA program is $102,500 for both the Weekend and Modular tracks. Tuition includes required books, materials, parking and meals, as well as other periodic costs and fees. Tuition credits and specific scholarships are offered to a select few students, and each enrolling student in the EMBA program is automatically considered for scholarships upon enrollment (based on the application’s strength). Other aid is available through Emory’s Financial Aid Office. Applicants to the EMBA programs must have completed a four-year degree or its equivalent for admission and are suggested to have significant post-college work experience (typically eight or more years). Applicants must complete an official EMBA application and pay a nonrefundable application fee of $150 and may request to waive the GMAT requirement by demonstrated prior academic, technical, or professional experience. The other application requirements for the EMBA program are identical as those for other Emory Goizueta MBA programs, except for re-applicants who need only to submit two essays instead of the standard four.